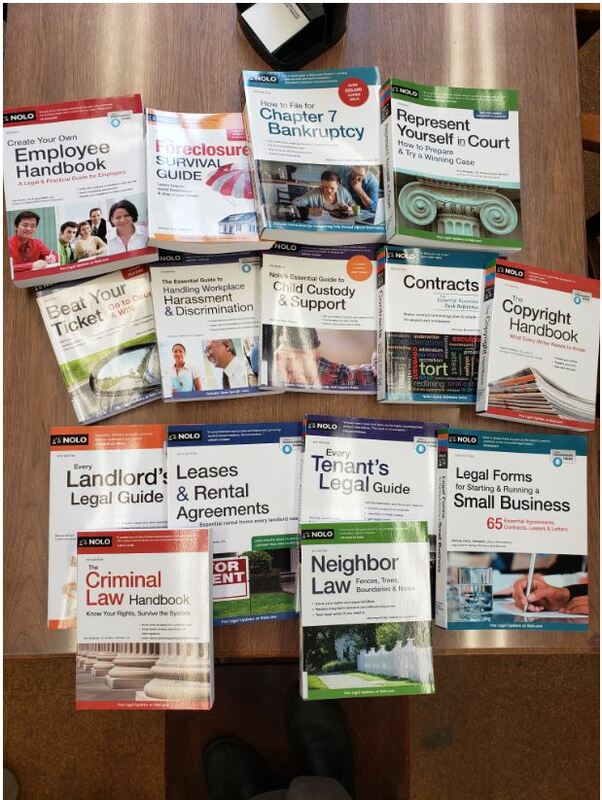 The Law Library has added a large collection of updated NOLOs! The titles cover topics from Landlord-Tenant Law to Employer Law all the way to resources for pro se litigants. These book can be checked out by subscribers for 2 weeks and can be renewed up to 2 times. You can put these titles on hold here. All subscribers can read these titles (and all of our other NOLO titles) off-site 24/7 through EBSCO! Here is a complete list.